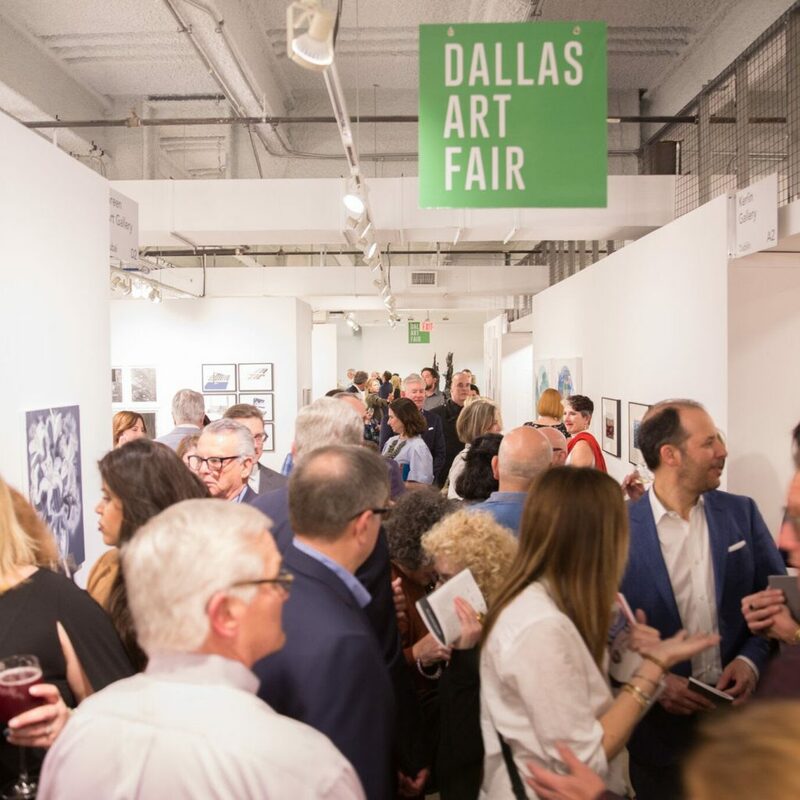 The 2018 Dallas Art Fair continued a rich tradition within the DFW art scene. Courtesy of Daniel Driensky. Our art fair gives local collectors the chance to engage with innumerable artwork from multiple eras of the medium. Thoughtfully deliberate programming of various exhibitions encourage great conversations and insight into DFW’s rapidly growing arts scene. Times: Thursday from 7:00pm-10:00pm, Friday & Saturday from 11:00am-7:00pm, and Sunday at 12:00pm-6:00pm. Arts in Bloom will feature a “Kids’ Zone” to educate children on the importance of high art. Courtesy of McKinney, Texas. Arts in Bloom features over a hundred creatives arranged on the piney streets of downtown McKinney. Watch those streets come alive with some of the finest wineries, artists, musicians and food vendors in North Texas, all assembled for one special weekend. 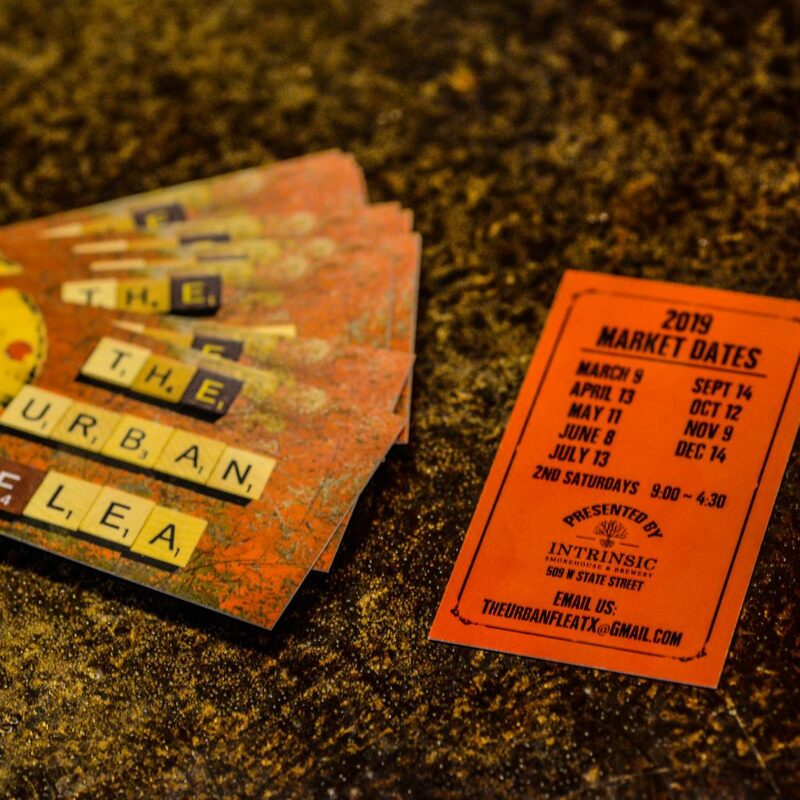 The Urban Flea is inspired by other popular flea markets and vintage outdoor memorabilia. Courtesy of Carpe Diem Dallas. 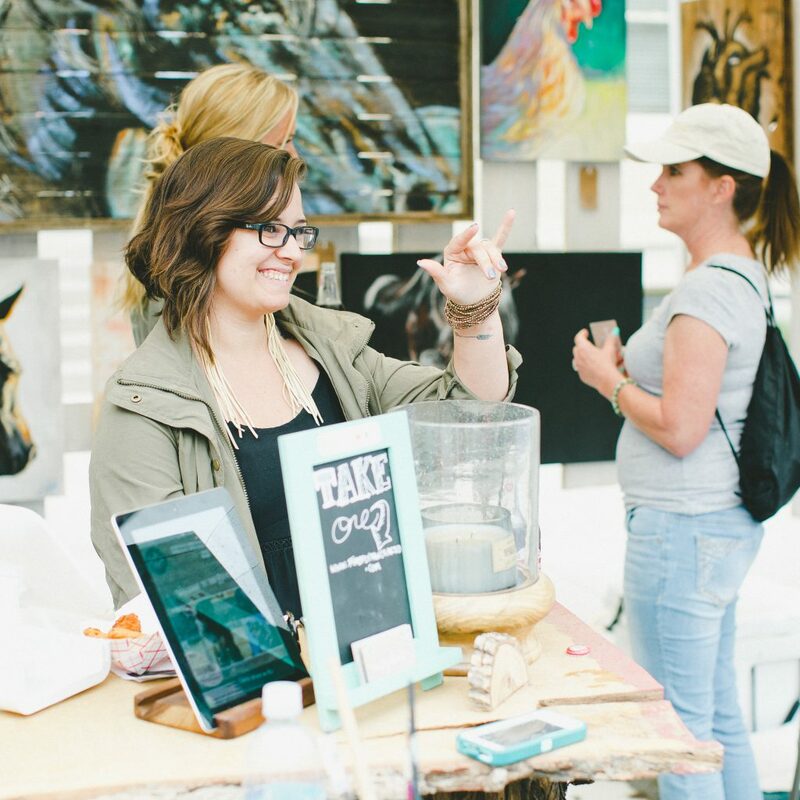 The Urban Flea is downtown Garland’s market of stylish crafts and repurposed goods. Vendors nationwide will guest appear to showcase their creative combinations of antiques and handmades. Live music will accompany the event. 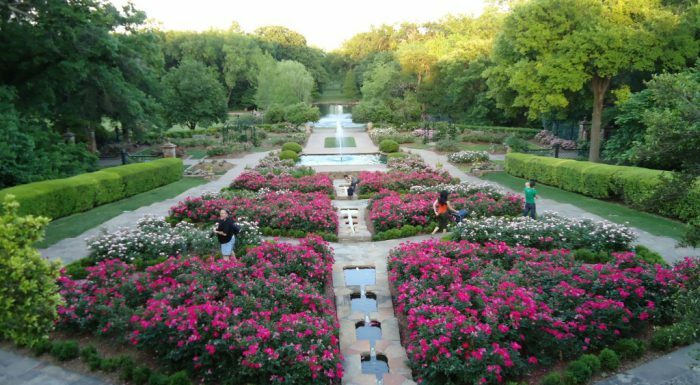 The Rosegarden is one of the most popular attractions at the Fort Worth Botanic Garden. Courtesy of Overlook. This annual fest is chock full of dance, pottery, martial arts and musicians. 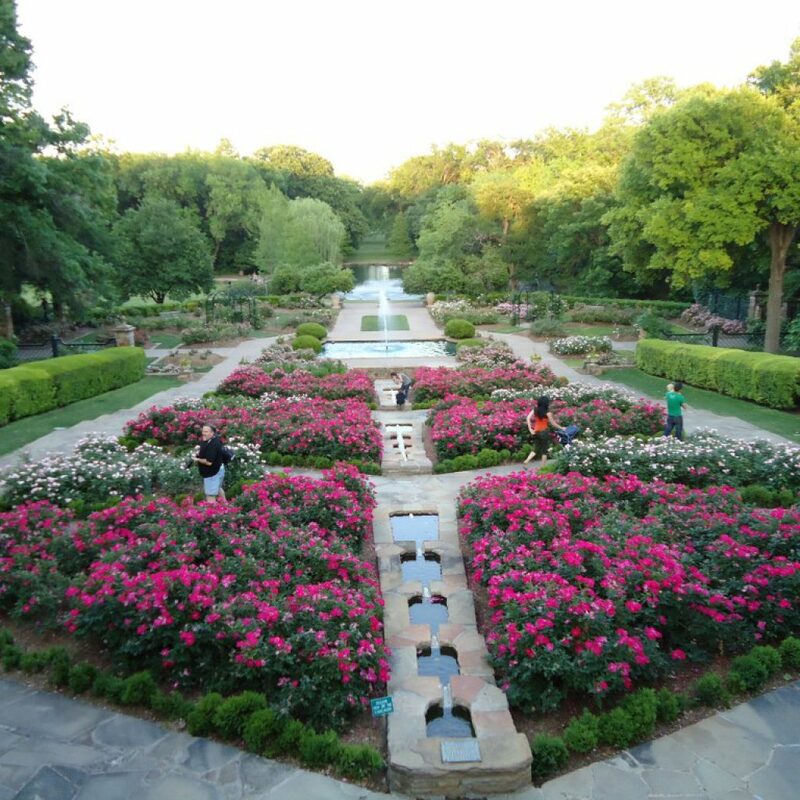 The popular garden is worth a trip to begin with due to cherry trees, Japanese maples and hundreds of other floral species, making it the perfect place for spring and summer events in good ‘ol Cowtown. Time: 10:00am-5:00pm on Saturday and Sunday. The Dallas Pizza Fest is heavily geared to young children and preteens. Courtesy of Dallas Pizza Fest. General Admission: $12 for adults, $4 for children aged 4-12, free for Botanical Society Members and children aged below 3. Win $250 for signing up and participating in a pizza eating contest. What’s not to love?